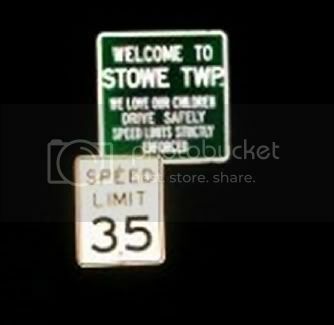 I'll see your McKees Rocks and raise you a Stowe Township. 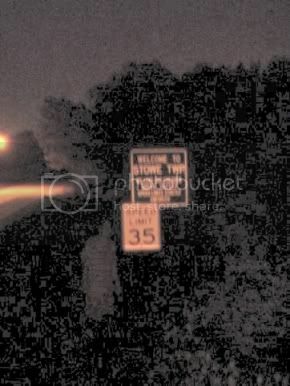 There was a nicer Stowe Township sign somewhere along this road, but we didn't feel like nudging through the crowd of delinquents to get there. Sorry Stowe! This area was completely devoid of illumination and as such produced a poor quality photograph.